Shopping for Stranger Things Key Chains? Battle the Demogorgon anywhere and travel to the Upside Down! The well-intentioned and good friend from the Netflix series Stranger Things has been scaled down to an all too adorable Pocket Pop! Key Chain. 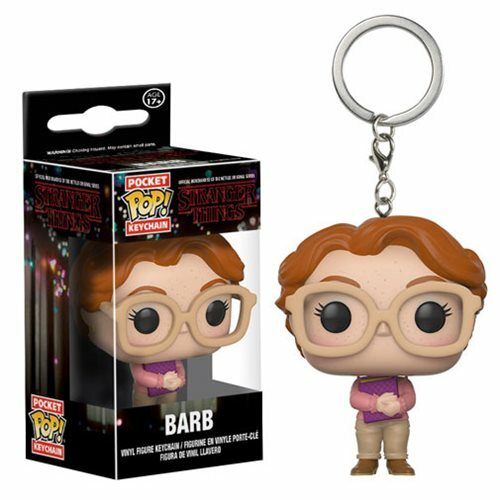 This Stranger Things Barb Pocket Pop! Key Chain measures approximately 1 1/2-inches tall and comes packaged in a window display box. Ages 14 and up.